Starting in the mid-1970s, Pyongyang began reaching out to Washington to replace the Korean War armistice with a peace agreement. Yet, as declassified US records suggest, as Washington prepared to normalize relations with Beijing in the late 1970s, President Carter’s national security team determined that there was little intrinsic value to talking directly with North Korea. Instead, the US would rely on what it believed—incorrectly—to be China’s influence over the DPRK. This approach reflected a poor understanding of the historical relationship between China and North Korea; exaggerated the docility of Pyongyang to Beijing; and failed to take into account historical factors that limited China’s influence over the DPRK. Yet, nearly four decades later, asking China to solve the North Korean problem remains Washington’s default policy for dealing with Pyongyang. Basing American strategy for dealing with the North Korean threat on the flawed assumption that Beijing exercises enormous political clout in Pyongyang and would be willing to carry Washington’s water, is a recipe for continued failure. North Korea is frequently characterized as being both unknown and unknowable. To be sure, our ability to understand what goes on inside the secretive regime is limited. Yet, the diplomatic record of North Korea’s former communist allies reveals a great deal about the long-term thinking of the secretive country’s leaders, including on how they perceived the Sino-DPRK relationship. 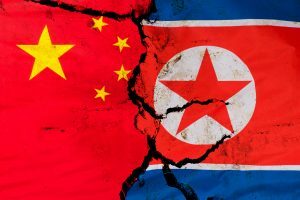 A review of North Korea’s perspective on Sino-Korean relations reveals a profound sense of mistrust that goes back decades and a long-term effort to resist China’s influence. This ultimately limits Beijing’s ability to exercise, at will, political influence over Pyongyang. This mistrust, one could argue, pre-dates the establishment of the Democratic People’s Republic of Korea (DPRK) and the People’s Republic of China (PRC) in 1948 and 1949 respectively. For Kim Il Sung, the founding leader of North Korea (and grandfather of current leader Kim Jong Un), the mistrust likely went back to the 1930s when Chinese communists nearly executed him on suspicion of being a member of a pro-Japanese Korean group called the “People’s Livelihood Corp” or Minsaengdan. Up to 1,000 Koreans, who like Kim were members of the Chinese Communist Party, were caught up in an atmosphere of extreme paranoia and were persecuted by reason of their ethnicity. Nearly half were executed. One can only imagine how this incident sowed a seed of mistrust toward the Chinese Communist Party (CCP) not just for Kim Il Sung, but for many of the Korean members of the CCP who survived the affair. While we can only speculate about the psychological impact of the so-called Minsaengdan incident on Kim Il Sung, declassified Cold War-era records from the archives of the former Soviet Union, East Germany, Bulgaria, Mongolia and others—all former allies of North Korea—provide tangible proof that from North Korea’s perspective, the relationship with China has been fraught with tension and mistrust since at least the 1950-1953 Korean War. Thus, the very event that many point to as the origins of the Sino-DPRK alliance was actually a source of tension and conflict. In the late fall of 1950, the so-called Chinese People’s Volunteers, who had taken command of field operations in Korea, vetoed North Korean proposals to continue offensive operations against US and South Korean troops in 1951. Consequently, North Korean leaders blamed Chinese military officials for failing to reunify the Korean peninsula, even though Chinese forces had, in fact, rescued the DPRK from certain defeat. During the war, disagreements also arose over control of North Korea’s railroad system. Chinese forces prohibited their use for anything other than military operations, including reconstruction after battle lines stabilized, a decision North Korean officials disputed, especially as many trains, standing still, fell prey to US bombs. Soviet records reveal that the relationship between North Korean and Chinese officials remained strained years after the 1953 Korean War armistice. In December 1955, Kim Il Sung utilized the concept “Juche,” a term typically translated as “self-reliance,” to minimize Chinese and Soviet influence on political, economic and cultural developments in North Korea. In August 1956, he purged pro-Chinese and pro-Soviet party officials for challenging his autarkic economic development strategies and personality cult at a plenary meeting of the Korean Workers’ Party (KWP). Three of Kim’s victims fled to China, where they briefed Mao Zedong on recent developments in the DPRK. Soviet Vice Premier Anastas Mikoyan, in Beijing at the time to attend the Eighth Congress of the Chinese Communist Party, also learned of the situation in Pyongyang. Mao and Mikoyan dispatched a joint Sino-Soviet party delegation to investigate the incident. The joint delegation, headed by Chinese Defense Minister Peng Dehuai, the former commander of the Chinese People’s Volunteers during the Korean War, and by Mikoyan, forced Kim Il Sung to convene a new meeting of the KWP, reappoint purged officials, and release others from prison. While there was no direct challenge to Kim’s authority, he clearly perceived the intervention as a violation of Korean sovereignty. Within months of the visit, Kim began to take steps to register his displeasure with China and the Soviet Union. He resumed the purge of those with close ties to Beijing and Moscow. According to Polish reports, up to 3,000 officials suffered as a result. Mao Zedong was so frustrated by Kim Il Sung’s actions that in a November 1956 conversation with the Soviet Ambassador to Beijing, Pavel Yudin, the Chairman equated Kim with Imre Nagy, the Hungarian “traitor,” and to Joseph Broz Tito, the overly independent Yugoslav leader. Mao even suggested that Kim could be acting in collusion with his South Korean nemesis, President Syngman Rhee. Mao’s remarks would later come back to hurt him. In 1960, as Sino-Soviet relations soured, Moscow sought to drive a wedge between Pyongyang and Beijing, and Khrushchev ordered that the Soviet record of the discussion be shared with Kim. Soviet reports describe Kim being visibly shaken after reading the cable. Kim’s learning of the conversation likely had a lasting impact on the North Korean leader’s perception of Mao and of China. In later decades, Kim harshly criticized the Chinese for interfering in an internal party matter in 1956. Relations between Pyongyang and Beijing briefly improved in the early 1960s when, in the wake of the Cuban Missile Crisis, the North Korean leadership split with Moscow over Soviet leader Nikita Khrushchev’s “revisionist” policies toward the United States. This period of Sino-DPRK accommodation was short lived however. As soon as Khrushchev was forced from office in the fall of 1964, Kim took steps to put space between himself and the Chinese leadership. By the mid-1960s, relations between Pyongyang and Beijing rapidly deteriorated. Throughout China’s Great Proletariat Cultural Revolution, Kim Il Sung was a direct target of criticism by China’s Red Guards for allegedly “sitting on the fence” in the ongoing Sino-Soviet split. China’s leadership, which was in disarray, tolerated and even abetted these attacks. Relations deteriorated to the point where the Chinese and North Korean militaries clashed in the vicinity of Mt. Baekdu in 1969. According to a 1973 conversation between Kim and Bulgaria’s Todor Zhivkov, on another occasion Chinese troops crossed into North Korean territory and occupied a town. Kim ordered an attack, but the Chinese slipped back across the border. The damage to the Sino-DPRK relationship was irreparable. Faith would never be fully restored, even though—on the surface—the relationship seemed to get back on track from the early 1970s. There were other episodes in the Sino-DRPK relationship that reinforced Pyongyang’s belief that China was overly interventionist and not respectful of Korean sovereignty. For example, in 1980, when Kim Jong Il was declared successor at the sixth congress of the Korean Workers’ Party Central Committee, China openly denounced hereditary succession as a vestige of feudalism. For the North Koreans, this was unconscionable. Until China’s defeat at the hands of Japan in the 1894-1895 first Sino-Japanese War “de-centered” the Middle Kingdom, the Chinese emperor did enjoy the privilege of conferring legitimacy on Korean monarchs. However, by 1980, the North Koreans were likely appalled by the Chinese declaration, revealing a belief that Beijing still had the authority to voice an opinion on leadership succession in the DPRK. Kim Il Sung, an anti-colonial revolutionary nationalist who was hard wired to the post-Westphalian notion of sovereign equality, resented such remnants of the suzerain-vassal relationship that characterized Sino-Korean relations until the late nineteenth century. Despite a shared history, border, and, at least ostensibly, ideology, from the 1980s, China and North Korea grew further apart when Deng Xiaoping emphasized the modernization of the Chinese economy. In the eyes of the North Koreans, China had abandoned revolution for a place in the existing international system. In the ultimate act of betrayal, Beijing recognized Seoul in 1992. As a result of this tortured history, pressuring China to exercise political influence over North Korea means the United States is asking Beijing to do precisely what Pyongyang has most resented over the years. This will only antagonize North Korea even more. This does not mean that the United States should abandon efforts to encourage China to exert pressure on North Korea. While China does not have the ability to exercise political influence over the DPRK, it enjoys greater material leverage over, and access to, Pyongyang than any other country. Indeed, some 80 to 90 percent of the DPRK’s foreign trade is with China. Surely that has to account for something. Without greater participation from China, the US policy of relying on sanctions to force North Korea to abandon its nuclear and ballistic missile programs is doomed to fail. Yet, there are also limits to a policy of relying on China to utilize its material leverage over North Korea. In any unequal alliance relationship, there exist clear limits to the ability of the patron ally to utilize its material leverage over its protégé to influence, at will, the latter’s policies. Protégé allies on both sides of the Cold War conflict often exhibited a far greater degree of autonomy than had been previously assumed. One only need think of the US relationship with South Korea’s Syngman Rhee or Taiwan’s Chiang Kai-shek. Despite being wholly dependent on the United States for economic support and security, both Rhee and Chiang were obstreperous allies. China’s ability to utilize its support to North Korea to influence Pyongyang’s policies for most of the past half-century was similarly limited. There is no reason to believe that this fundamental dynamic will change no matter how much the United States expresses its disappointment with China or imposes sanctions on it for Beijing’s failure to rein in North Korea’s nuclear and missile programs. Moreover, carrying Washington’s water is also not in Beijing’s interests. To be sure, China’s interests on the Korean peninsula and in East Asia do not align with those of the United States, and no amount of arm twisting will get Beijing to do the US’ bidding. While China prefers a nuclear-free and more compliant North Korea, it is not willing to bring the DPRK to its knees to achieve this goal. China’s enormous material leverage over North Korea is a double-edged sword. Cutting off the lifeline could lead to state and societal collapse in North Korea. This is the last thing Beijing wants. It would invite instability on China’s borders, precipitate a refugee crisis, or worse. The collapse of North Korea would be a national security nightmare for China, bringing a US treaty ally to its doorstep at a time when Beijing aspires to reassert its regional hegemony in East Asia. Moreover, China’s support to the DPRK in “The War to Resist America and Aid Korea” is central to the legitimacy narrative of the Chinese Communist Party. Following a “century of humiliation,” a brutal invasion by Japan, and a fierce civil war, the PRC—just one year after coming to power—fought the greatest power in the world to a standstill in a war to help its smaller communist ally. For a detailed account of the so-called Minsaengdan incident, see “Colonial Origins of Juche: The Minsaengdan Incident of the 1930s and the Birth of the North Korea-China Relationship” in J.J. Suh ed. Origins of North Korea’s Juche, Colonialism, War, and Development (Lanham: Lexington Books, 2013), pgs. 33-62. See Shen Zhihua, “Sino-North Korean Conflict and Its Resolution during the Korean War,” trans. by Dong Gil Kim and Jeffrey Becker, Cold War International History Project Bulletin, No. 14/15 (Winter 2003-Spring 2004), pp. 9-24. See “Information on the Situation in the DPRK,” April, 1955, History and Public Policy Program Digital Archive, RGANI, Fond 5, Opis 28, Delo 314, listi 34-59. Obtained for NKIDP by James Person and translated for NKIDP by Gary Goldberg. http://digitalarchive.wilsoncenter.org/document/114590. See the collection of declassified diplomatic records from former Communist bloc archives on the events of 1956, http://digitalarchive.wilsoncenter.org/collection/116/north-koreaaugust-1956-plenum-incident. See also James F. Person, “We Need Help from Outside: The North Korean Opposition Movement of 1956,” Cold War International History Project Working Paper #52 (August 2006). “Notes from a Conversation between the 1st Secretary of the PRL Embassy in the DPRK with Comrade Pimenov, 1st Secretary of the Embassy of the USSR, on 15.X.1957,” October 16, 1957, History and Public Policy Program Digital Archive, Polish Foreign Ministry Archive. Obtained by Jakub Poprocki and translated by Maya Latynski. http://digitalarchive.wilsoncenter.org/document/111722. Record of Conversation between Mao Zedong and Soviet Ambassador to the PRC, Pavel Yudin, November, 1956. See “Memorandum on the Conversation between Kim Il Sung and Todor Zhivkov,” October 30, 1973, History and Public Policy Program Digital Archive. From the personal collection of former Bulgarian diplomat Georgi Mitov. Translated by Donna Kovacheva. http://digitalarchive.wilsoncenter.org/document/114533. See also, “Record of Conversation between Comrade J. Batmunkh and Kim Il Sung,” November 20, 1986, History and Public Policy Program Digital Archive, Mongolian Foreign Ministry Archive, fond 3, dans 1, kh/n 173, khuu 123-164. Obtained and translated for NKIDP by by Sergey Radchenko and Onon Perenlei. http://digitalarchive.wilsoncenter.org/document/116671. See “Memorandum on the Conversation between Kim Il Sung and Todor Zhivkov,” October 30, 1973, History and Public Policy Program Digital Archive. From the personal collection of former Bulgarian diplomat Georgi Mitov. Translated by Donna Kovacheva. http://digitalarchive.wilsoncenter.org/document/114533. See Victor Cha, Powerplay: The Origins of the American Alliance System in Asia (Princeton: Princeton University Press, 2016). See also Robert Keohane, “The Big Influence of Small Allies,” Foreign Policy, no 2 (1971), pgs. 161-182, and Steven Walt, The Origins of Alliances (Ithaca: Cornell University Press, 1990). See, for instance, the series of reports published by the US-Korea Institute at the Johns Hopkins School of Advanced International Studies via 38 North, titled, “The North Korea Instability Project.” https://www.38north.org/topics/nk-instability-project/.